SKU: VIKINGHORN. Category: Home/Office, Outdoor. Tags: thumbsUp!. Tired of drinking from pint glasses, flasks or – heaven forbid – gold chalices? Try DAS HORN. Feel like a viking conqueror without all the “I’m drinking out of an elephant tusk” guilt! 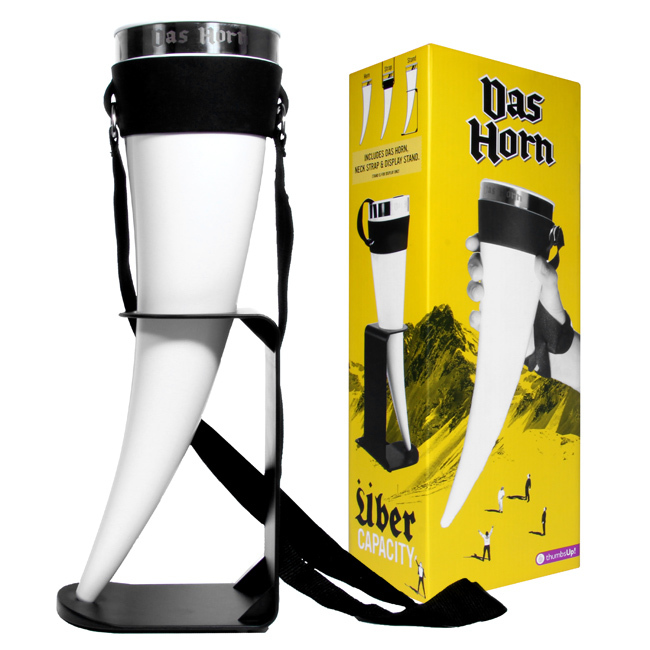 Unique Horn: Inspired by extraordinary horned beasts and a touch of viking rage, Das Horn is perfectly shaped for you to conquer your next beverage. Animal Friendly: Why imbibe from a rhinoceros horn or poached elephant tusk? 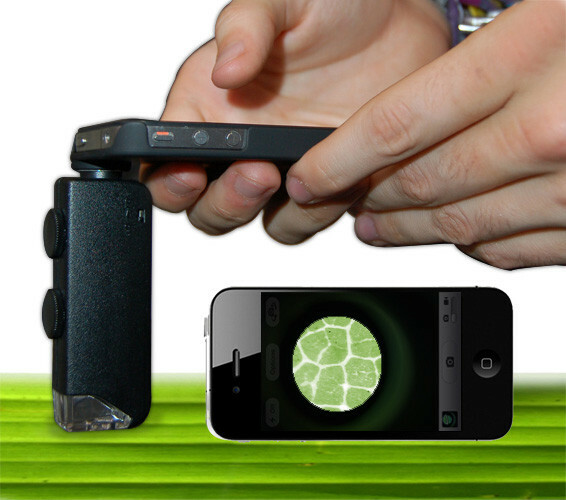 Enjoy Das Horn without slaying any endangered animals. Neck Strap: On the go? Carry your Das Horn with the included neck strap and keep both your hands free or triple fist. 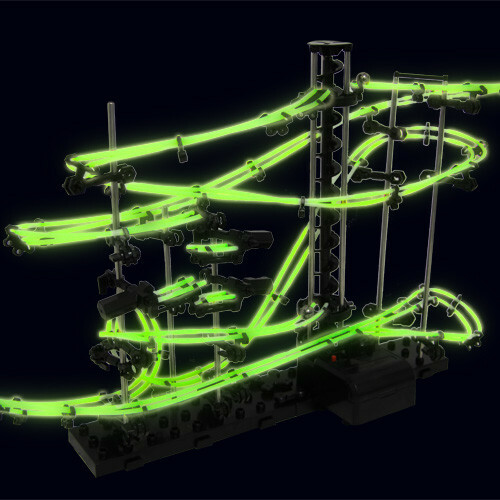 Display Stand: Perfect for your mantle, trophy room, or desk during off-party hours. Even caped crusaders need a tea break.All tuckered out after another night of fighting crime? 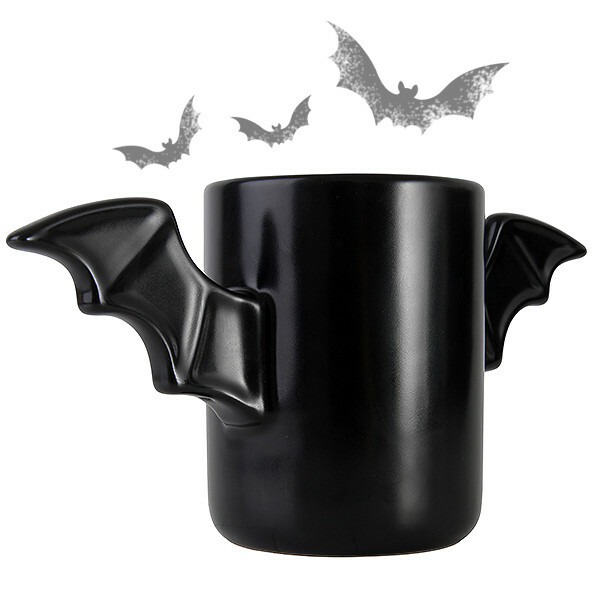 This dramatic ceramic mug with bat-wing handles is designed to be your tea break hero.